Ref No Grave or Memorial / Rhif cyfeirnod bedd: 11. C. 18. Medals Awarded / Medalau a ddyfarnwyd: Military Cross, Victory Medal, British War Medal, 15 Star. Roy was wounded at Passchendaele on 3rd August 1917 and died of these wounds, received from machine gun fire, on 5th August 1917. He was 23 years old. Roy Bowes was born on 29th September 1893 in Failsworth, near Manchester, the oldest son of Dr John Bowes and Mrs Clara Alice Bowes (Taylor) who were married in Failsworth early in 1890. Roy enlisted at Ashtead, Surrey on 6th October 1914 as a Private (2488) in 21st Bn Royal Welsh Fusiliers. He was 5′ 9″ tall and weighed 137lb. He was of fair complexion with green eyes and red hair. He gave his home address as Pen-y-Parc, Highbury Avenue, Prestatyn. His first posting abroad was to France on 14th November, 1915. He was discharged from the 21st Bn Royal Welsh Fusiliers on 4th August 1916 on being granted a commission – as Temp 2/Lt on 5th August 1916. He saw action in France and successfully led raids into enemy trenches on 13th October 1916, and for this he was awarded the MC on 23rd October 1916. 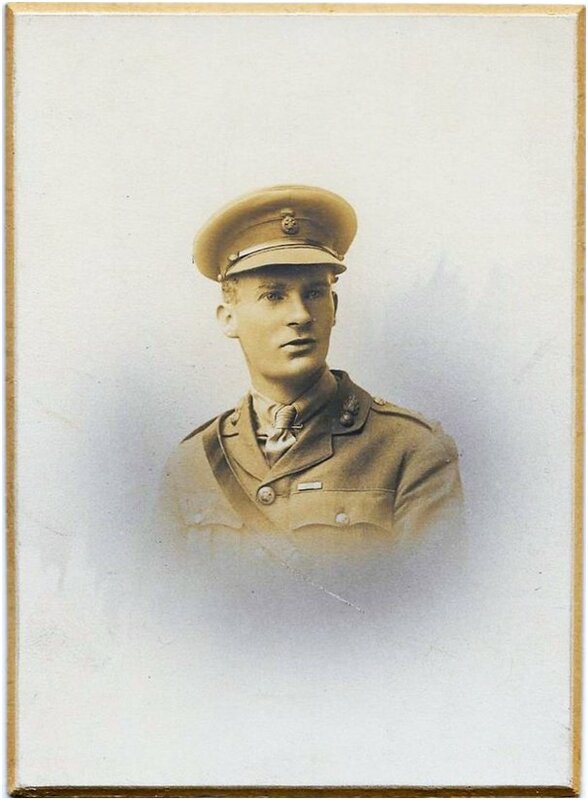 He became a Lt, an acting Captain, and was a Captain with the 15th Bn Royal Welsh Fusiliers at the time of his death. In September 1916 he received the Military Cross for bravery and was presented with it by King George V. His MC citation – For conspicuous gallantry in action. He led a daring raid under very heavy fire with great courage and determination. 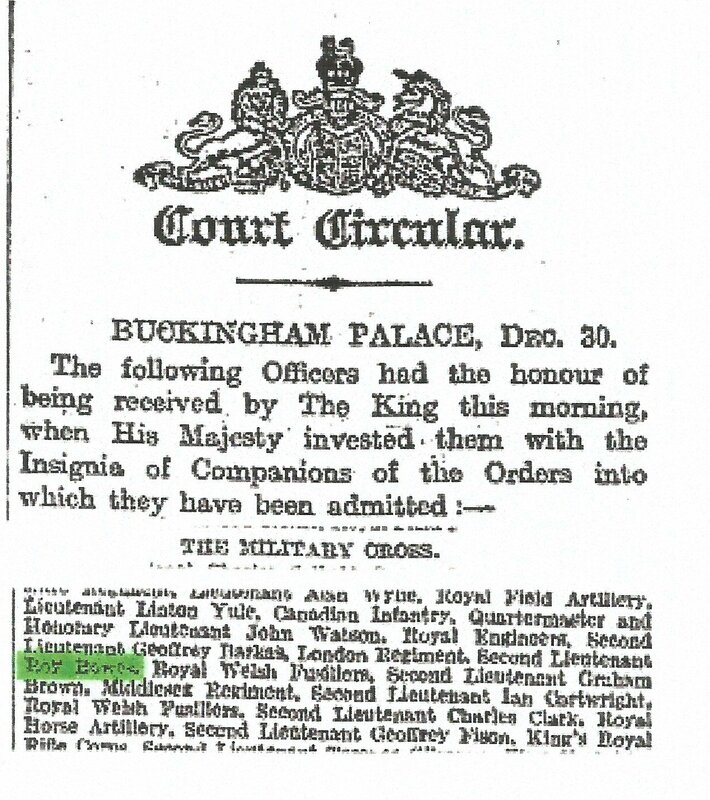 He set a splendid example to his men – London Gazette 25th November 1916. Roy had attended Manchester Grammar School from 1905-1910, and is mentioned on the MGS Roll of Honour. Roy Bowes – Son of Major John Bowes, M. D., Pen-y-Parc, Highbury Ave., Prestatyn, N. Wales. Born 1893 at Failsworth. Manchester Grammar School, Manchester University: 1911; Student, Architecture. Enlisted 6th October 1914; 21st Battalion (University & Public Schools) Royal Fusiliers Gazetted 5th August 1916; 15th Battalion R. Welsh Fus; Captain; Western Front; MC. Died 5th August 1917 at Dozinghem, of wounds received 3rd August near Steenbecke. The following details of the battle where Roy was wounded is taken from the records of the Royal Welsh Fusiliers. The 15th Royal Welsh Fusiliers were part of the 113th Infantry Brigade in the 38th Welsh Division and took part in Third Ypres. They were in the Boesinghe/Chateau sector on the night of 30-31 July 1917, having been subjected to intense German artillery. Their fighting strength, as they assembled on that night, was 12 officers and 420 other ranks. During the opening phase, the 15th were in reserve and moved to the west of the canal. They were supporting the 13th and 16th RW, and the battle order was for the 15th to take advance position once the 13th and 16th had achieved their initial objectives of piercing through the Blue line and consolidating on the Black line. The 15th would then take up the advance. 3.50am, zero hour – the 13th and 16th crossed the Blue line then met trouble at Pilkem, but reached the Black line. The 15th now advanced from the Black line on to the Green line and met stern resistance at Battery Copse and from fortifications around the railway. A smoke barrage intended to hide the 15th from the enemy fell amongst the men. 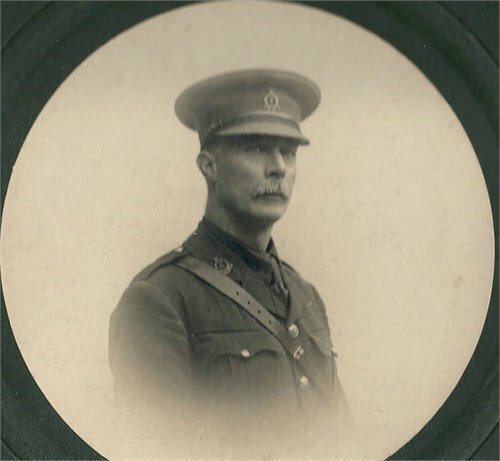 Casualties amongst junior officers were very heavy and CO Lt Col Norman was wounded. They fell back a thousand yards from the Green line and consolidated at Iron Cross Ridge. The 17th RWF then took up the advance from there. From notes I have been shown – It is known that the Boesinghe/Pilkem action was a nasty battle. It was the first time that the 38th Division came across concrete redoubts or machinegun ‘pillboxes’ of such strength. On the 38th Division front there were 280 of these structures. It was near here at this time that Corporal James Llewelyn Davies of 13th RWF won his VC. Roy Bowes would have been in the immediate vicinity. Iron Cross 1.8.17. The Bn remained on the Iron Cross Ridge during Aug 1st. On this day rain began to fall heavily putting the troops at a great disadvantage and adding greatly to their discomfort. At 3.10pm news of a counter attack was received from the front and a heavy hostile barrage was put down on the Steenbeek. However the Bn held its ground and nothing came of the counter attack. At 9.45pm the order was received that the Bn had to move up to the posts on the Green Line and about the same time the Bn was taken over by Captain R Bowes. Weather wet and dull. Green Line 2.8.17. The relief was complete by about 1.30am. At 2.00am Captain R Bowes went round the outposts held by the Bn on the banks of the Steenbeek and during his reconnaissance was hit by machine gun fire and taken to the rear. The Bn was then handed over to Captain S.G. Fitzsimons who held command till the moment of relief. Weather wet. Roy died of his wounds three days later on 5th August 1917. He was buried in Dozinghem Military Cemetery ,West Flanders, Belgium. Westvleteren was outside the front held by Commonwealth forces in Belgium, but in July 1917, in readiness for the forthcoming offensive, groups of casualty clearing stations were placed at three positions called by the troops Mendinghem, Dozinghem and Bandaghem. 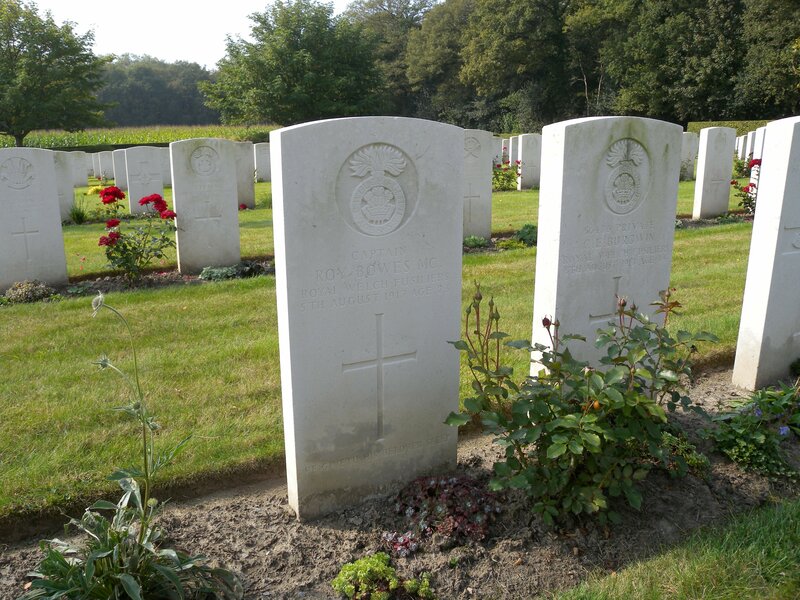 The 4th, 47th and 61st Casualty Clearing Stations were posted at Dozinghem and the military cemetery was used by them until early in 1918. One other important point. In Wales, a very famous Welsh young poet Hedd Wyn was conscripted into 15th RWF and he was involved in Pilkem, where he died in the battle. Now I wonder whether Roy Bowes was his company commander – or not? This elicited an immediate response from John demanding to know where the rest of his effects were, namely, “field glasses, compass, wristwatch and every scrap of money except 1 1/2 francs”. He told them that Roy had had these effects with him only a week or so previously when he had been at home. He received a reply stating that no further effects had been found, and explaining the abnormal conditions, etc. Any monies found would be included in the deceased’s estate. Roy had written a Will on the back of an envelope duly witnessed by two soldiers, but undated. John had great trouble proving his son’s Will, and many rather acrimonious letters were sent. One of the witnesses later swore an affidavit stating that the Will had been written the night before the battle where Roy received the MC. The other witness had since been killed. It was then demanded that John get two bondsmen, who were not interested parties, to swear that the writing was Roy’s. The Will was finally proved on 20th March 1918, John being named the Residuary Legatee. Roy’s name was included on The Roll of Honour list and read out at the Tower of London ceremony on 7th September 2014. Roy’s father, Dr John Bowes (a Major in RAMC in WW1, spending some of his service in Kinmel Bay) was born in Dundee, Scotland on 16th October 1861 and was a registered general practitioner and surgeon, having qualified in Edinburgh. His surgery was held in his house at 293 Oldham Road, Failsworth. They moved to Prestatyn during WW1 and in 1939 John and Clara were living at Pen y Parc, Highbury Avenue, Prestatyn, where John died on 16th March 1940. Clara Alice died in January 1946. They were both buried in Failsworth. Roy was the oldest of four children, two boys and two girls. Roy born 29th September 1893, died 5th August 1917: Jessie born 25th September 1895, died 12th November 1987 in Vancouver: Ethel born 15th September 1897: Eric born 3rd July 1905. The Bowes family. John at the back with his wife sitting to his left. Jessie is standing to his right, with Roy sitting to her right. 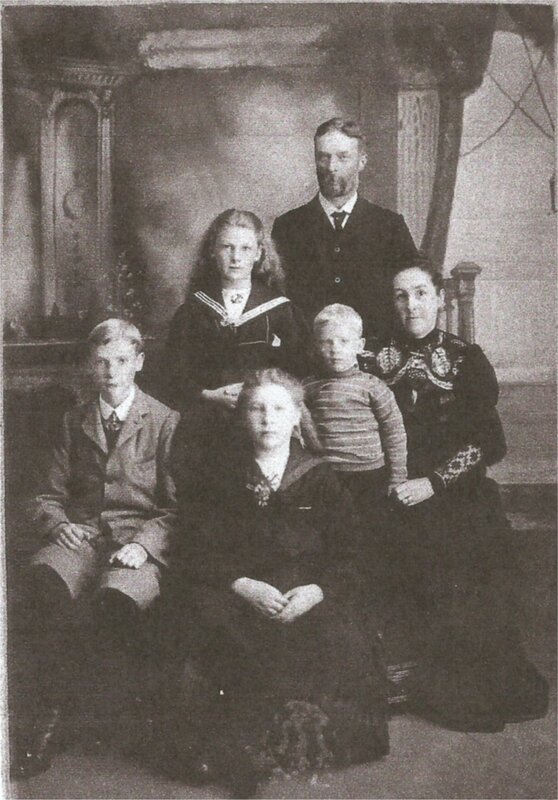 Ethel is sitting at the front with Eric standing by his mother. In 1901 Roy was 7 years old, living at home with his parents and sisters Jessie and Ethel. They lived at 293 Oldham Road, Failsworth, his father John being described as a Physician and Surgeon. In 1911 the family were still living at 293 Oldham Road. Roy was now 17 years old and was an Architecture student. The family had been joined by a younger brother Eric, but the census tells us that 6 children were born to the family, two of whom had died. 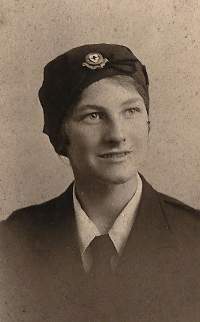 Roy’s sisters Jessie and Ethel both attended Oldham Hulme Grammar School, and during the War joined Voluntary Aid Detachments as Nurses. Jessie in the Military Hospital at Neath in South Wales, and Ethel at the Red Cross Hospital at Rhyl in North Wales. (Source: Oldham Hulme Grammar School Archive WW1 – The Great War Project. http://www.hulme-grammar.oldham.sch.uk/ArchiveWebPages/WarWeb/girls.html). Roy’s grandparents were Robert Aitken Bowes (1837-1879) and Helen Sandeman (1843-1919) who were married in Dundee in 1859. Robert was a Master Printer, working with his brothers as Bowes Brothers in Dundee. He was the Editor of the Bolton Guardian from about 1866 and died when only 42 years old. When Robert died his two older sons, Robert and John (Roy’s father) were already at Edinburgh University studying Medicine. His widow, Helen, moved up to Edinburgh with her other two sons, Paul and Arthur, and they too went on to study Medicine at Edinburgh University. All four brothers qualified as doctors. The story was that there was just enough money for the first two sons to graduate and then they paid for Paul and Arthur. Arthur, being the youngest, looked after his mother financially in later life. A rare thing for 4 brothers to become doctors. Robert’s father John Bowes, an English travelling preacher (1804-1874) was an interesting man. 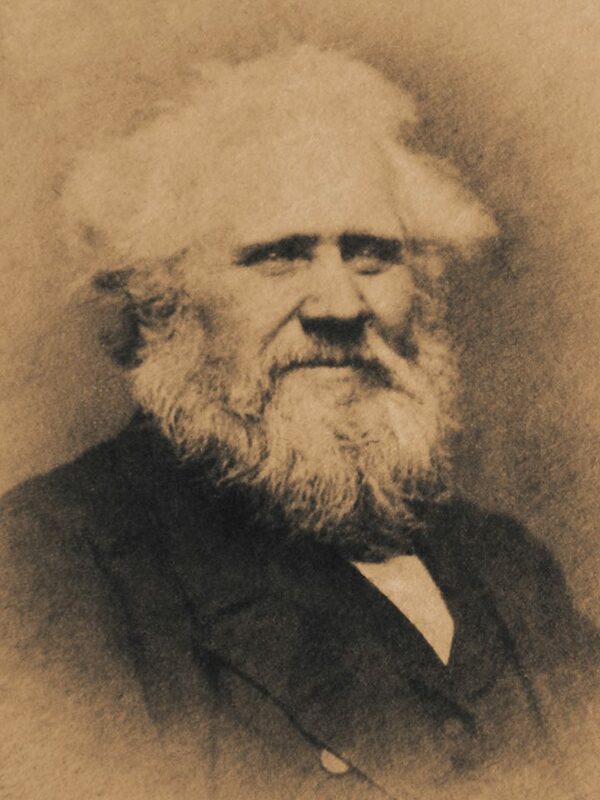 Ian Bowes, his GGG grandson, has written about him at http://www.myprimitivemethodists.org.uk/page/john_bowes_preacher_1804-1874. He first joined the Wesleyans but then decided to join the Primitive Methodists at the age of 17. In his autobiography he states “I loved them for their zeal in the cause which they had espoused.” In 1831 he started a new mission and was inducted to the pastoral charge of the first church of the Christian Mission in Dundee. Six years later he left Dundee with regret and travelled and preached often wherever a congregation was willing to listen, be it a chapel, a hall, a tent, a house, a fish market or in the streets. He was an itinerant minister and suffered many privations during his extensive travels through England, Scotland and Wales. He also visited Ireland, Canada and America. He was prosecuted several times for street preaching. He studied Greek for 44 years, which resulted in his own published translation of the New Testament in 1870. He published many of his writings, some of which were printed by Bowes Brothers Machine Printers in Dundee, which was owned by his sons. He spoke out strongly against war. His peace initiatives led him to be one of the representatives of England at the Brussels Peace Congress in 1848. In 1853 he wrote a letter to the Czar of Russia, admonishing him for his aggression at the start of the Crimean War. Returning to Roy’s immediate family, Roy’s first cousin John Edward Middleton Taylor was also killed during the War. In 1871 when she was an infant, Roy’s mother Clara Alice was living in Failsworth with her parents John Taylor (a retired Grocer), her mother Martha, David 12, Elizabeth 9, Hannah 4 and Clara 2. Clara’s brother David was the father of John Edward Middleton Taylor. John was a 2nd Lt with 18th Bn Manchester Regiment when he died of his wounds on 24th April 1917 aged 27. He had married Ellen Y White just a few months earlier. 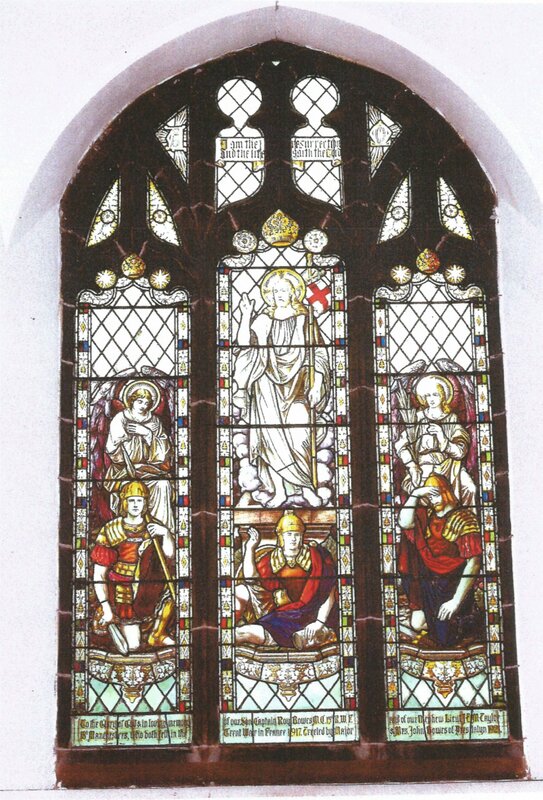 A joint memorial in the form of a stained glass window at Holy Trinity Church, Failsworth was erected by Roy’s parents to the memory of Roy and John. It was erected in the south wall of the nave. In the church there is also a memorial window and plaque to all those of the parish who fell in the war. Sadly, I am told that the Church is falling into disrepair. It was sold to some ‘religious’ order by the Church Commissioners without moving the two memorial windows nor indeed the plaque. 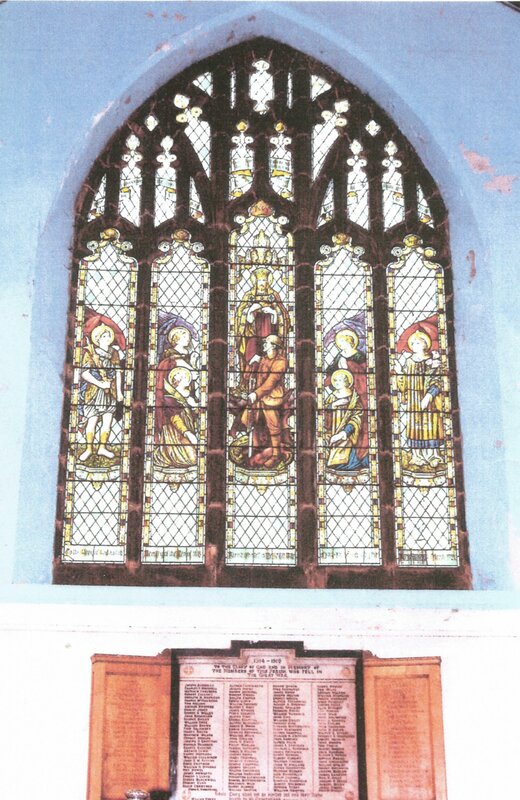 The window is noted in the archives of the Imperial War Museum – designated as ‘at risk’ from when the Church was sold in 2006. As next year is the 100th anniversary of Roy and his cousin’s death, his relations are desperately trying to save it.